The 2015 PBA Commissioner’s Cup playoffs sent two teams packing as top seeds ROS and TNT wasted no time in disposing of their quarterfinals foes. The No. 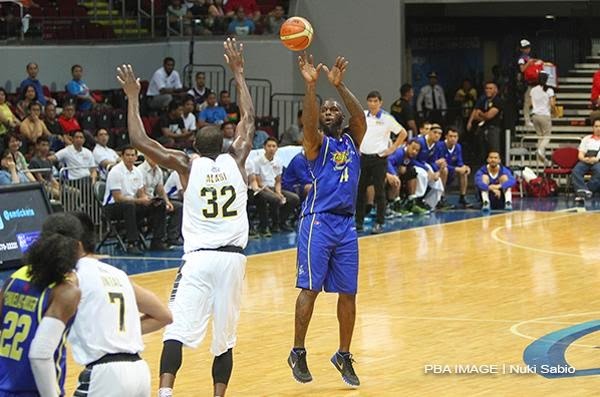 2 seed Talk ‘N Text Tropang Texters rode an utterly dominant first half to a one-sided victory over Barako Bull, 127-97, to breeze into the PBA Commissioner’s Cup semifinals on Saturday at the Mall of Asia Arena. Import Ivan Johnson scored 30 of his game-high 35 points in the first half, while Jayson Castro hit his first seven shots, including four threes, to finish with 18 points and 7 assists for the Tropang Texters. Fellow starters Ranidel De Ocampo, Matt Ganuelas-Rosser, and Larry Fonacier also had big games. De Ocampo chipped in with 16 points and 8 rebounds, while Ganuelas-Rosser and Fonacier combined to tally 22 points and 11 assists. None of those five played in the fourth quarter, where Talk ‘N Text extended their lead to a high of 37 points, 123-86. Talk ‘N Text, which held a twice-to-beat advantage in the quarterfinals after clinching a spot in the top two, put a decisive and abrupt end to this series with the rout. They will await the winner of the Purefoods-Alaska series, which the Hotshots lead 1-0. The Energy bowed out with a whimper after they started the conference on fire, winning their first three games. 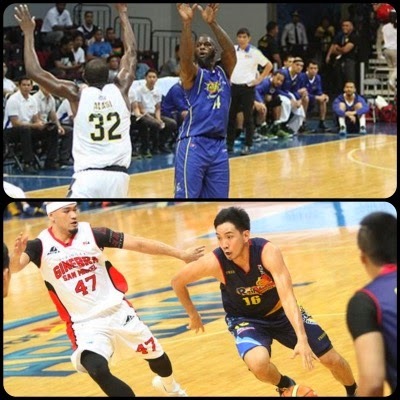 Barako Bull was paced by the combined 45 points of Solomon Alabi and JC Intal. Alabi also added 17 rebounds and 4 blocks to his tally. Line of the Game: Ivan Johnson (TNT) - 35pts, 15rebs, 3asts, 3blks, 1stl, 13/19 FGs. Ivan Johnson had another strong showing as the Texters booted the Energy in the quarterfinals. 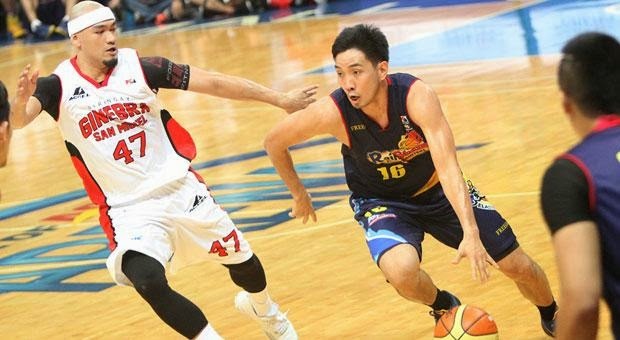 The Rain or Shine Elasto-Painters, behind some fourth quarter heroics from Jeff Chan and Raymond Almazan, won a back-and-forth thriller, 92-91, to send Barangay Ginebra San Miguel home and advance to the next round of the PBA Commissioner’s Cup playoffs on Saturday at the Mall of Asia Arena. Almazan scored 12 of his team-high 17 points in the fourth quarter, while Chan made the biggest baskets, including a fastbreak layup that put Rain or Shine ahead, 92-91, with 4.9 seconds remaining. Chan, who scored eight in the fourth quarter, and import Wayne Chism both finished with 17 points as well. Rain or Shine spoiled a great showing from Ginebra center Greg Slaughter, who had 26 points and 16 rebounds in the game. It wasn’t enough to make up for a subpar performance from import Michael Dunigan, though, who struggled for just 11 points on 4-for-14 shooting in the game. After Chan hit a three that gave Rain or Shine a 90-87 lead, Ginebra scored four consecutive points to take a 91-90 lead inside the final minute. But the Elasto Painters made a great defensive stand and Chan knocked the ball loose as Ginebra’s shot clock expired. Chan recovered the ball and made a crucial layup to swing the tide, leaving 4.9 seconds left on the clock. Rain or Shine, which had a twice-to- beat advantage in the series, joined Talk ‘N Text in the semis, where they will await the winner of the NLEX-Meralco series. Gilas Pilipinas big man Japeth Aguilar also impressed with 14 markers and 9 boards for Ginebra’s losing cause. Line of the Game: Greg Slaughter (GIN) - 26pts, 16rebs, 3blks, 12/16 FGs. Jeff Chan unloaded a big fourth quarter barrage to push ROS past Ginebra.